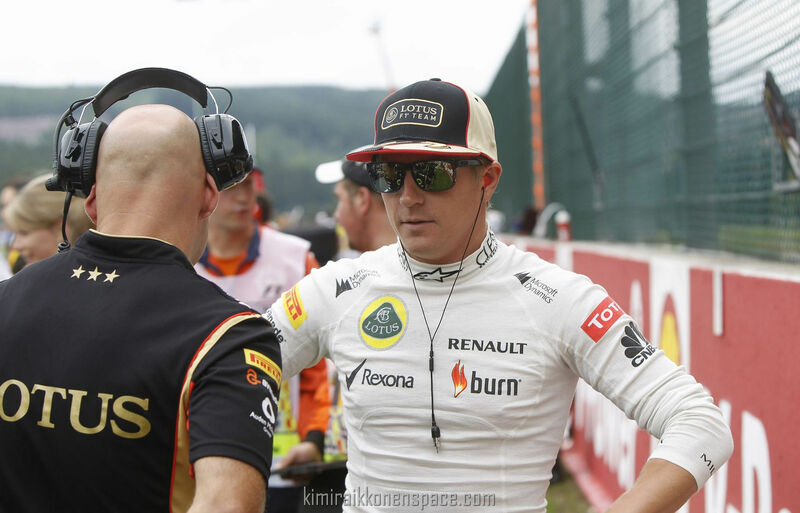 For the first time in his Lotus F1 Team career, Kimi failed to finish a Grand Prix after brake failure in today’s Belgian Grand Prix. Our Finn was philosophical at the blow dealt to his championship aspirations. KR: I had a brake failure so there was really no point in trying to continue. Q: How was the beginning of your race? KR: We both got good starts off the line but there wasn’t enough space into the first corner where I went over the kerb and lost some time. After that I was pushing as hard as I could. Q: How early did the brake issue manifest itself? KR: There were some brake issues at the beginning of the race but we were managing them and it was going okay until we had to retire. KR: We’ve finished a lot of races and had some good reliability so far. One day your luck has to run out and today was that day. Is it just me, or is Kimi very ‘dreamy’?